Michael W. Michalak joined Indochina Capital’s board in 2012. He is a career Foreign Service Officer with extensive knowledge and experience in Asia, served as the U.S. Ambassador to Vietnam between August 2007 and February 2011. Prior to his position in Vietnam, Ambassador Michalak served as the U.S. Senior Official to APEC, Bureau of East Asia Pacific Affairs. He holds a B.A. and M.A. in Physics from Oakland University in Rochester, Michigan, and Catholic University of America in Washington, D.C., respectively. He received a second Master’s degree in Public Administration from the John F. Kennedy School of Government at Harvard University. He speaks fluent Japanese. Peter is the CEO of Indochina Capital, one of Vietnam’s leading real estate advisory, investment and development companies. Since Indochina Capital’s establishment in 1999, Mr. Ryder has spearheaded the company’s real estate activities but has also played an active management role in the other aspects of the company’s business (cross-border M&A advisory, equities and finance). Indochina Capital has developed prominent commercial and residential projects in Saigon and Hanoi, including 63 Ly Thai To (Hanoi), River Garden (Saigon) and Indochina Plaza Hanoi and several resort and residential developments along Vietnam’s pristine coast, most notably the renowned luxury resorts, The Nam Hai (Hoi An), Six Senses Con Dao, and Hyatt Regency Danang Resort and Spa. Today the Company is engaged in a number of new real estate development and investment opportunities through its Vietnam focused partnership with Kajima Corporation, one of Japan’s largest and most prestigious contractors and real estate developers. In addition, Indochina Capital has teamed up with Vanguard Hotels to roll out, Wínk Hotels, a visionary hospitality brand redefining affordable luxury in the Indochina region (developed by ICC-Kajima), which blends modern, creative design and functionality with traditional Vietnamese values. The first Wínk Hotel is now under construction in Saigon and will open in early 2020. Wínk Hotels in Hanoi, Danang and several secondary Vietnamese cities are in the pipeline. Indochina Capital has also taken a strategic stake in Toong, Vietnam’s leading co-working space company, which will manage a co-working space facility in each Wínk Hotel. Peter has lived and worked in Vietnam for the last 27 years. He was the chairman of the American Chamber of Commerce in Hanoi from 1999 to 2001 and served as a board member from 1995 to 2005, rejoining the board in 2015. Educated as an anthropologist/archaeologist, Peter received a Master of Arts degree in Anthropology with a Mayan studies focus from the University of Pennsylvania in 1983. Ambassador Burghardt joined Indochina Capital’s board of directors in 2005. From 2001-2004, he served as U.S. Ambassador to Vietnam. Ambassador Burghardt is also the Director of East-West Seminars at the East-West Center, and he was formerly the Director of the American Institute in Taiwan. Previously, he served in diplomatic posts in China, the Philippines, and South Korea. Ambassador Burghardt’s former diplomatic assignments also include the role of Special Assistant to President Reagan and Senior Director of Latin American Affairs on the National Security Council staff. Ms. Le Thi Bich Thuy is the founder and CEO of Bich Thuy & Company Ltd. (BTC), a company she established in 1996. BTC is the exclusive distributor of various high end cosmetics and professional hair and skin care products from Italy and France, including Rolland and Gernétic and retailer of Estée Lauder Companies in Hanoi, HCM City and Haiphong. BTC also owns flagship cosmetic stores and hair – beauty spas in Hanoi and HCM City. At the same time, Thuy was also on the Board of Directors/Supervisors of VPBank (1998 – 2003), WACO (Water & Environmental Corporation 2002-2007); additionally, she was the Vice Chairperson (Board of Directors) of Dai A Bank (2004-2009) and is currently the Vice Chairperson of Daiviet Security Company (from 2005-present). In 2003, she was awarded with a Certificate of Appreciation by the US Department of Commerce for her contributions to the development of US trade in Vietnam when the Director of the US Foreign Commercial Department visited. She holds degrees from the University of Foreign Studies and Foreign Trade University of Vietnam. Thuy has and continues to play a key role as Indochina Capital’s senior government relationship manager and has been active in all of the company’s major initiatives and projects. Michael Piro is a chartered surveyor, who brings over a decade of property sales, marketing and development experience in both North America and Asia to his role as Chief Operating Officer of Indochina Capital Corporation (ICC). Michael has directly overseen the sale and leasing of over US$500 million worth of high-end Vietnamese properties, while also being actively involved in the planning and development of nearly US$1 billion worth of high-end real estate development in Vietnam for ICC. Michael is an Executive Committee Member of the Canadian Chamber of Commerce, where he focuses on working with the relevant state bodies to endorse reforms as it relates to foreign real estate investment in Vietnam. Michael holds a diploma of Urban Land Economics from the University of British Columbia and a Diploma of Technology specializing in Commercial Real Estate from the British Columbia Institute of Technology. He became a board member and partner of ICC in 2016. Mr. Nakayama is Senior Vice President of ORIX Corporation, overseeing general operations and new businesses of ORIX Corporation group companies in Southeast Asia and Middle East. Mr. Nakayama’s responsibility also covers Ship Finance based on over 20 years of experience in structured finance. He has served for ORIX’s representative on the Indochina Capital board since 2018. Michael Piro is a well-rounded real estate professional, who brings 15 years of property sales, marketing and development experience in both North America and Asia to his role as Indochina Capital’s COO. Michael has directly overseen the sale and leasing of over US$260 million worth of high-end Vietnamese properties, while also being actively involved in the planning and development of nearly US$1 billion worth of high-end real estate development in Vietnam for ICC. Mr. Piro is an Executive Committee Member of the Canadian Chamber of Commerce, where he focuses on working with the relevant state bodies to endorse reforms as it relates to foreign real estate investment in Vietnam. Michael holds an Urban Land Economics degree from the University of British Columbia and a Technology in Commercial Real Estate degree from the British Columbia Institute of Technology. He became a board member in 2016. Hoa Truong joined Indochina Capital in January 2007, and is now a director and member of the Executive Committee. Hoa is a seasoned accounting professional, and as Chief Financial Officer, she oversees the company’s accounting and financial reporting. Besides providing the team with her expertise in accounting, financial reporting, taxation and M&A due diligence, Hoa is also responsible for the company’s Human Resources and Administration activities. She is responsible for ensuring that the company diligently complies with current local and international tax regulations and for spearheading all internal and external auditing activities. She regularly interacts with investors regarding questions about the company’s financials. Hoa has a Bachelor’s degree in Accounting from Cal Poly Pomona, and an MBA from the University of Hawaii. She also is a Certified Public Accountant in Australia. 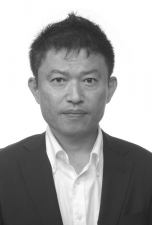 Tuan joined Indochina Capital in 2007, specializing in real estate finance and is responsible for raising a total credit commitment of $200 million for ICC’s projects. In addition, he jointly spearheads ICC’s provision of feasibility studies, financial planning, operator selection and development advisory services to its clients. In 2016, he became the General Director of ICC-Kajima, the joint venture between Indochina Capital and Kajima Corporation, which focuses on investing and developing a chain of urban business hotels, boutique serviced apartment and residential properties in the major cities of Vietnam. Previously, Tuan worked for four years at Ernst & Young Vietnam, acting as a senior auditor in statutory and group audit engagements with a wide range of companies and industries. His experience also extends to corporate diagnostic review and full-scope accounting service projects. Tuan graduated from the Foreign Trade University, Hanoi and obtained an M.B.A. from Ritsumeikan Asia Pacific University, Japan. He is also a member of the Association of Charter Certified Accountants (UK).